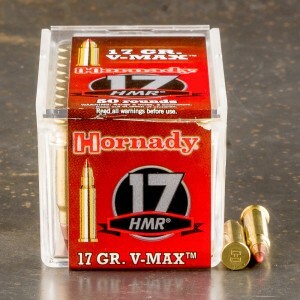 17 HMR ammo is a relatively new, but very popular cartridge. 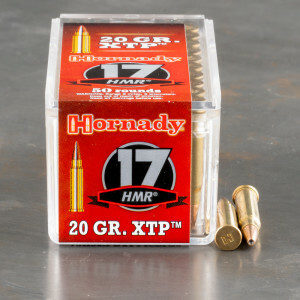 It was designed, developed and manufactured by Hornady starting in 2002. 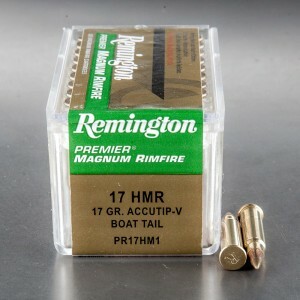 The round’s dimensions are 4.5x27 mm with a rimmed neck. 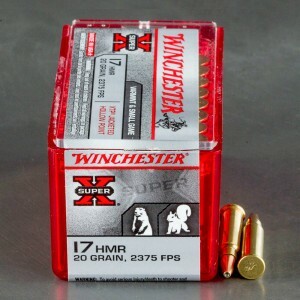 The cartridge’s parent case is the famed 22 magnum, however, the 17 is necked down to accept the smaller 17 caliber bullet. 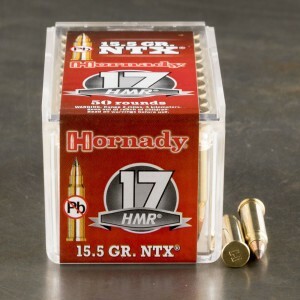 Originally, 17 HMR was designed by wildcat cartridge enthusiasts looking to design a round that would have an extremely flat trajectory. 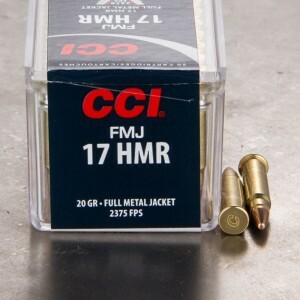 The overall intent was a simple rimfire design with little recoil, noise, and concussion. 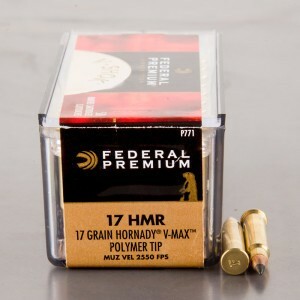 17 HMR ammunition has become very popular and is designed and used for several different purposes. 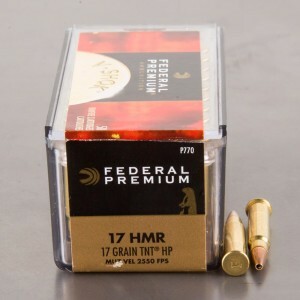 17 HMR ammo is an excellent small game and varmint round that’s perfect for prairie dogs, rabbits, squirrels, and even coyotes with well placed shots. 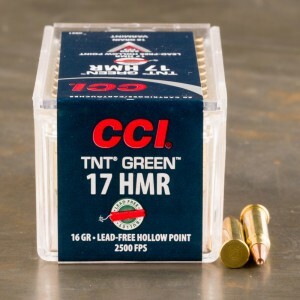 The cartridge features a rifle like spitzer bullet that increases the velocity and accuracy of the round, as well as allowing to be topped with ballistic tip rounds. 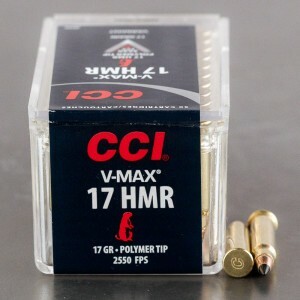 So, despite the 17 HMR’s status as smaller than the 22, it offers more velocity, a flatter trajectory, more consistent accuracy, and multitude of different loads. 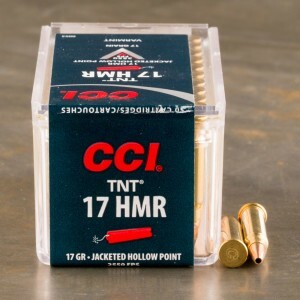 The 17 HMR has grown steadily in popularity and become more and more common in rimfire weapons, including revolvers and bolt-action rifles from a variety of different companies.